Fresh off recently hosting and performing at the yearly charity festival Žur z razlogom in his hometown of Ljubljana, Slovenia, Umek recently announced plans to hit the road on tour until the end of the year. The tour takes place across North America, South America and Asia respectively. Part one consists of stops in the US and Canada, with appearances at Insomniac events Beyond Wonderland and Nocturnal Wonderland and club dates at Exchange, LA and Shine in Vancouver. 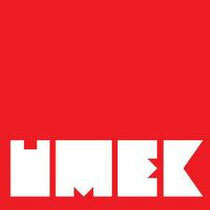 Part two sees Umek hitting South America for two weeks followed by a return to North America for an extended tour on the club and festival circuits. Highlights include FreakNight/Seattle, Pacha/NYC, Lavo/Las Vegas, EDC/Orlando and Mansion/Miami, to name just a few. To end the year, he hits Asia for most, or nearly all of, December, crisscrossing the continent to deliver some techno cheer.